In a significant judgment, the Supreme Court has observed that members of the medical profession owe a constitutional duty to treat the have-nots and that they cannot refuse to treat a person who is in dire need of treatment by a particular medicine or by a particular expert merely on the ground that he is not in a position to afford the fee payable for such an opinion/treatment. 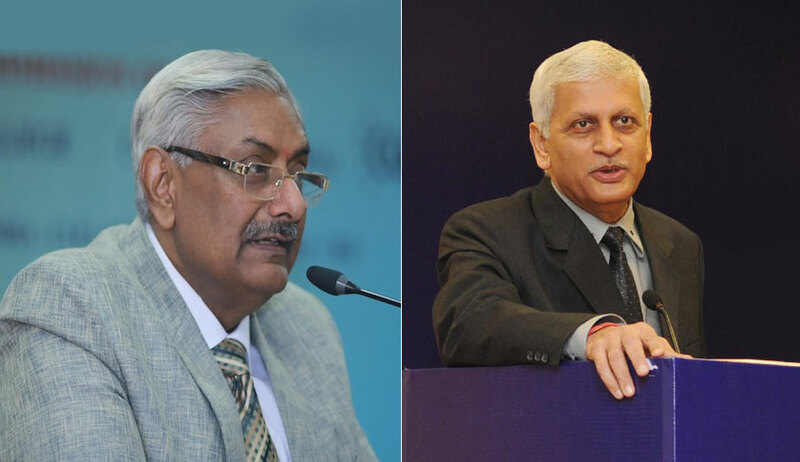 Allowing the appeals preferred by Union of India, a bench of Justice Arun Mishra and Justice Uday Umesh Lalit set aside the Delhi High Court order that had quashed the circular issued by the Government of NCT of Delhi. The bench also directed all the hospitals in Delhi built on subsidized land to scrupulously observe the conditions imposed by the government circular including that to provide free treatment to 10% indoor patients and 25% outdoor patients of poor strata of the society. Inhuman to deny proper treatment to the poor owing to economic condition. In his 124-paged judgment, Justice Arun Mishra made some piquant observations about medical profession and ethics. Medical profession deals with the life of human beings. There has to be a balancing of human rights with the commercial gains. Members of the medical profession owe a constitutional duty to treat the have-nots. They cannot refuse to treat a person who is in dire need of treatment by a particular medicine or by a particular expert merely on the ground that he is not in a position to afford the fee payable for such an opinion/treatment. The moment it is permitted, the medical profession would become purely a commercial activity, it is not supposed to be so due to its nobleness. It would be inhuman to deny a person who is not having sufficient means or no means, the life-saving treatment, simply on the ground that he is not having enough money. Due to financial reasons, if treatment is refused, it would be against the very basic tenets of the medical profession and the concept of charity in whatever form we envisage the same, besides being unconstitutional would be violative of basic human rights. By and large the hospitals have now become centers of commercial exploitation and instances have come to notice when a dead body is kept as security for clearance of bills of hospitals which is per se illegal and criminal act. In future, whenever such an act is reported to the police, it is supposed to register a case against management of Hospital and all concerned doctors involved in such inhumane act, which destroys the basic principles of human dignity and tantamount to a criminal breach of the trust reposed in the medical profession. On the making of a doctor, the State spends and invests a huge amount of public money and it is the corresponding obligation to serve the needy and the treatment cannot be refused on the ground of financial inability of the patient to bear it. Right from wrong reporting, uncalled for investigation inclusive of invasive one, even as to heart and other parts of the body, which are wholly unnecessary, are performed, it is time for soul-searching for such big hospitals in and around Delhi, Gurgaon etc. and other places. They must ponder what they are doing. Is it not a criminal act? Simply by the fact that action is not taken does not absolve the responsibility. Time has come to fix accountability and to set right the evils which have rotten the system. The medical profession had never been intended to be an exploitative device to earn money at the cost of patients who require godly approach and helping hand of doctors. Every prescription starts from Rx, not from the amount of bill. Being big commercial international hospitals in and around Delhi, they are not above the ethical standards which they have to maintain at all costs even by extending financial help to the have-nots. The hospitals nowadays have five star facilities. The entire concept has been changed to make commercial gains. They are becoming unaffordable. The charges are phenomenally high, and at times unrealistic to the service provided. The dark side of such hospitals can be illuminated only by sharing obligation towards economically weaker sections of the society. It would be almost inhuman to deny proper treatment to the poor owing to economic condition. Upholding the circular, the bench observed that when the government land had been obtained for the charitable purpose of running the hospital, the government is within its right to impose such an obligation. The bench further added that such stipulation for free treatment does not amount to restriction under Article 19(6) on the right enshrined under Article 19(1)(g) and even otherwise it was not necessary to enact a statutory provision by the Government in view of existing liability as per policy/rules/statutory provisions as to ethical standards and other statutory provisions in force. Observing that there has been resistance from the part of hospital management to wholesome policy violation of the conditions in the circular, the bench directed the government direct to file a periodical report within a period of one year with respect to compliance of conditions by the hospitals and other similar hospitals in Delhi.